that I decided to use the layout for my entry to this week's Addicted to CAS challenge - Bauble. This stamp is from an old Stampin' Up set called Park Avenue Patterns. The sentiment is from Hero Arts and is stamped in Versafine Onyx and then emossed with iridescent embossing powder, to match the stickles on the strings. This card was chosen as one of the top 3 at ATCAS! awesome card and congrats on the CTS team! I love the gorgeous colors Ardyth. I just found your blog this week and I just squeed in delight at this card. So many cute ideas. So, I'm going to be searching eBay for this stamp! This is gorgeous - perfect for the CASE sketch! Did you add the wee bits of white highlight to each bauble? If so, love it! Adorable, love this stamp Ardyth! Oooh!! Love it! I like how the small areas of colour are connected by the strings. Another beauty! I love those colorful dangling ornaments that are centered perfectly with a great sentiment! Beautiful choices of colors for the "baubles". Thanks for joining us at ATCAS. Oh this makes me SQUEEEEEEEEEEEEEE! Love it Ardyth. Wow! This is stunning! Simply perfect for the challenge! welcome to the design team...looking forward to your inspiration!! I love the colorful bulbs!! SOOOO fun!! I knew this was for CAS(E) before I even scrolled down. The coloring is so great, I want to pull one off like a piece of expensive hard candy! I swear I can taste it!! Really love this. Great take on this weeks theme. Thank you for playing along with ATCAS challenge. Wowzeroony !What a sensational CAS card, so stylish, beautifully coloured and I agree with Darnell looks practically edible. Thank you so much for joining us at ATCAS with this beautiful card and good luck. I love your card, so clean and simple, yet so colourful, perfect combination. 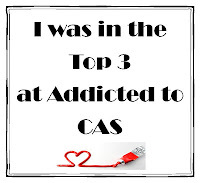 Thanks for joining us at Addicted to CAS hoping to see you again. Caz DT. Wow, I just love it! A so beautiful coloring... great!! Great coloring! I love the white spots you left at the baubles to add some shine to them! Well done! Thanks for joining us at Addicted to CAS! Stunning card Ardyth. Love the seemingly simplicity of it but realise how much work it takes for that beautiful colouring. 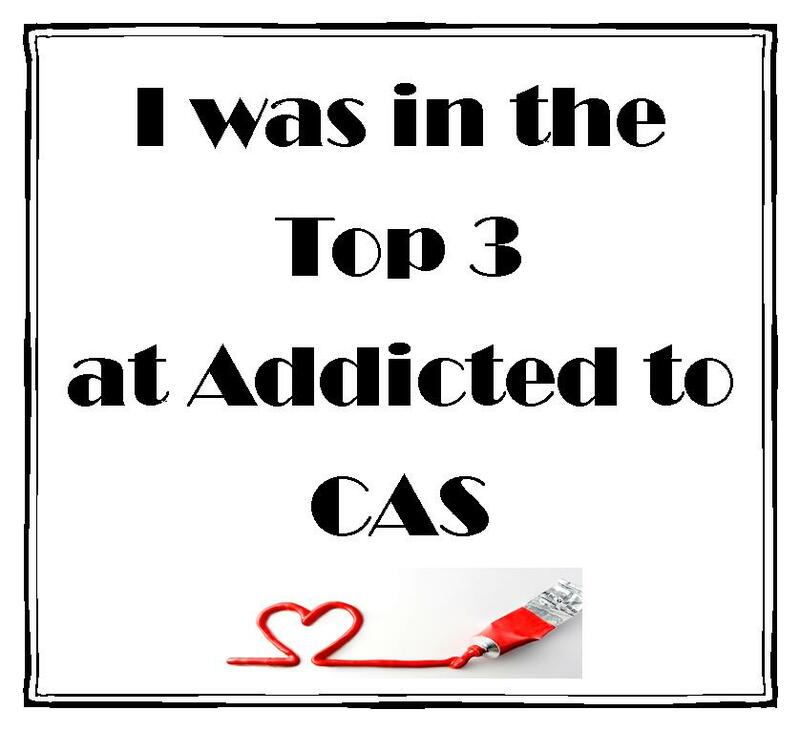 Thanks so much for joining us at Addicted to CAS. Congrats on the shout out at ATCAS! I just went over to ATCAS and saw the winners for #2 and had to come and congratulate you! Well-deserved honor for your brilliant card, Ardy! !